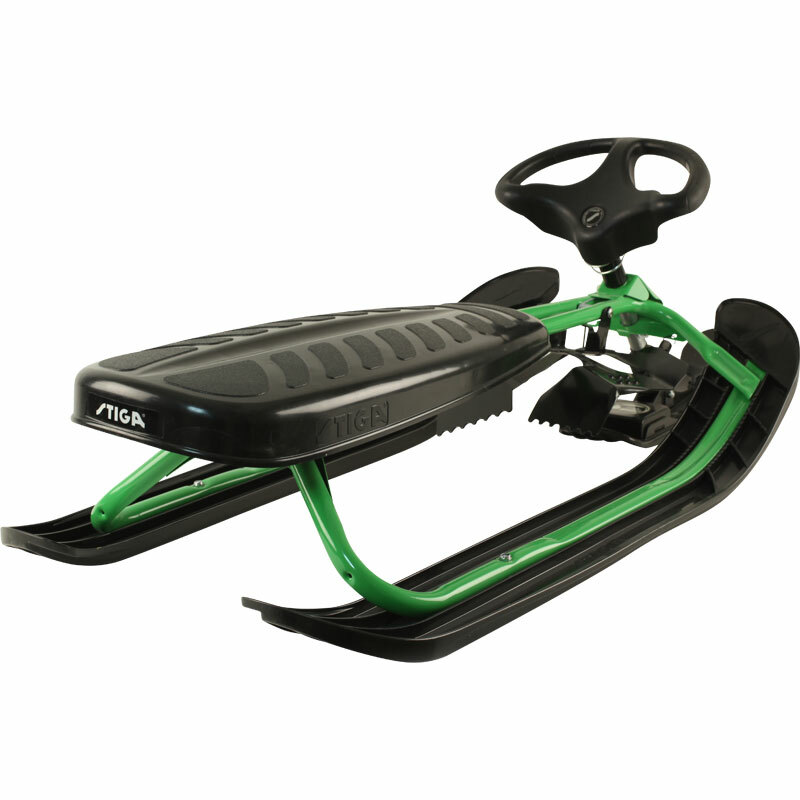 Stiga ® Snowracer FSR Sledges. 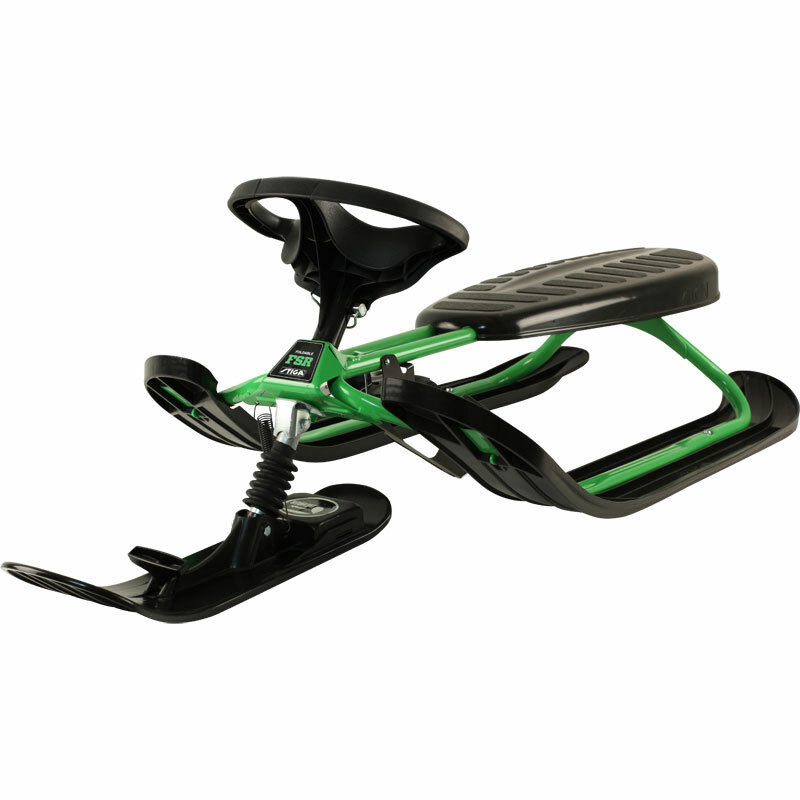 Foldable Snowracer that easily can be transported in the smallest of cars and be stored in the tiniest closet. 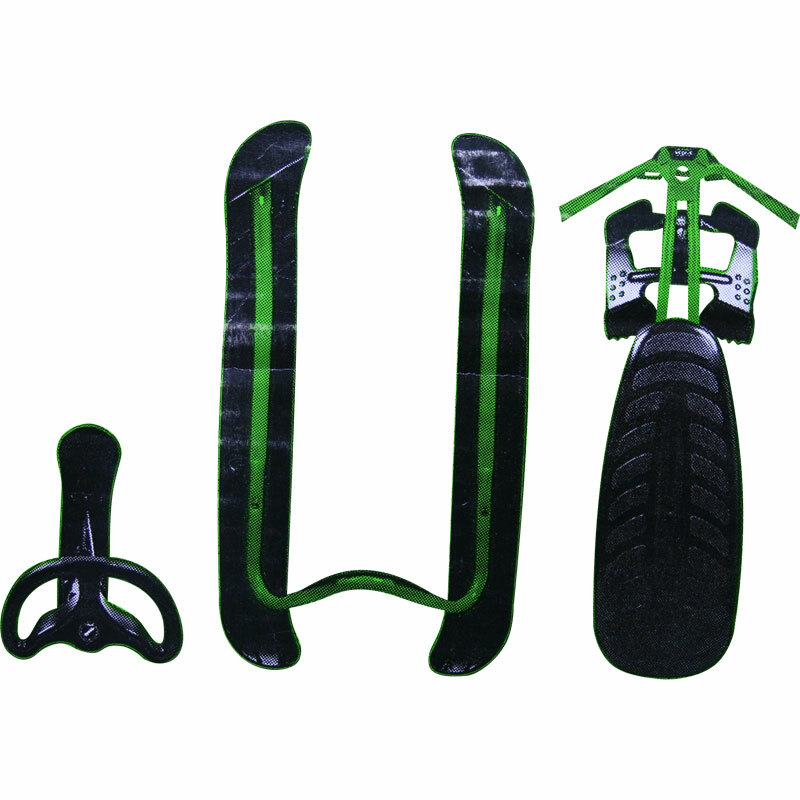 Curve Ski System and a robust frame in green color. GT Model has a shock absorber supporting the driving ski, makes the handling of the Snowracer outstanding. Twin Tip skis, carving shaped front ski for improved steering and a steering wheel with grip zones. L120cm x W50cm x H21cm (Seat) or H38cm (Top of steering wheel). Breaks apart into 3 sections for storage and transport, seat section comes away from the sled base and the wheel and ski comes away from the main frame.